Bring water to a boil. Add pears and dried longans. Boil for 15 minutes. Add rock sugar, red dates and honey dates. Cook for 10 minutes or until sugar has dissolved. 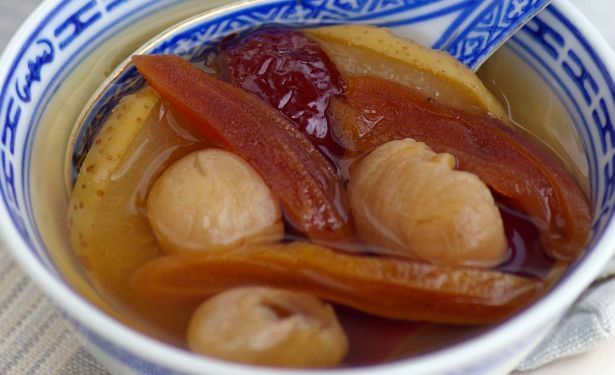 Add dried persimmon slices and dish out to serve hot.